The Under Armour Curry 3 is still early in its run, but today we already get a preview of the Curry 3.5. 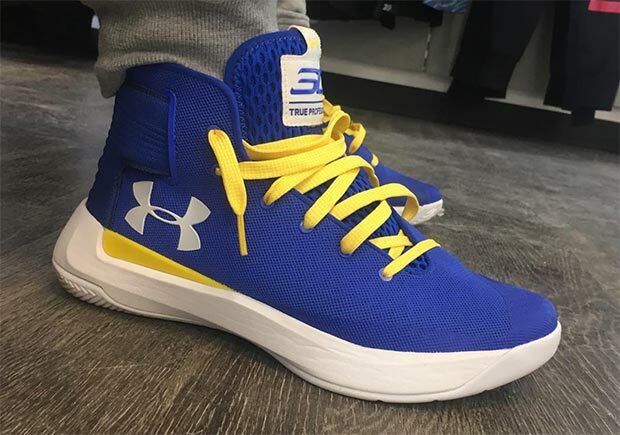 Just like the Curry 2, the 3 will also have a “half” model with upgrades designed for the summer Playoffs season, which should see Steph and the Warriors going deep— we’re guessing probably all the way to the Finals if we had to put our money on it. The Curry 3.5 appears to be built on the same tooling as the 3, with a fully updated upper in lightweight and breathable mesh perfect for summer hoops. At this angle it’s hard to see all the details, but it also appears to have a supportive strap system integrated into the ankle. Enjoy this early preview of the Curry 3.5, and stay tuned to Sneaker News for all updates on Steph Curry’s next signature model, which you can expect to drop in early summer 2017.